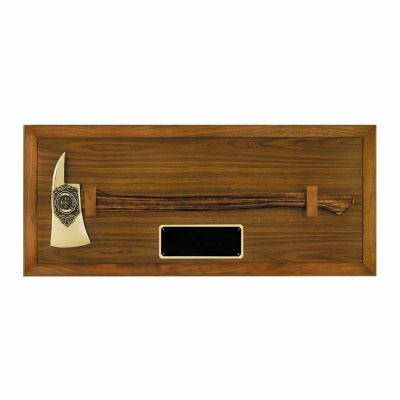 American Tribute Firefighter Series Axe Display Plaque is made of genuine walnut. Includes a brass display plate for engraving and engraving is included in price. Overall Size is 42″ x 18″. Axe is sold separately.